Shopping for Suicide Squad Purses? Daddy knows best. 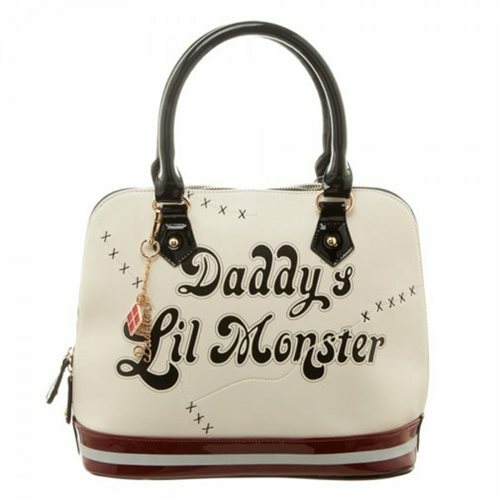 Enjoy a piece of Harley's style with this Suicide Squad Daddy's Lil Monster Dome Handbag! Inspired by her boots, this detailed handbag features ample space for all your villainous gear and don't forget to grab the matching wallet (sold separately)! Secure all your goods with the exterior zipper and prepare to head out with Mr. J and the rest of the squad! Measures about 13-inches long x 6-inches deep x 10-inches tall. Ages 14 and up.